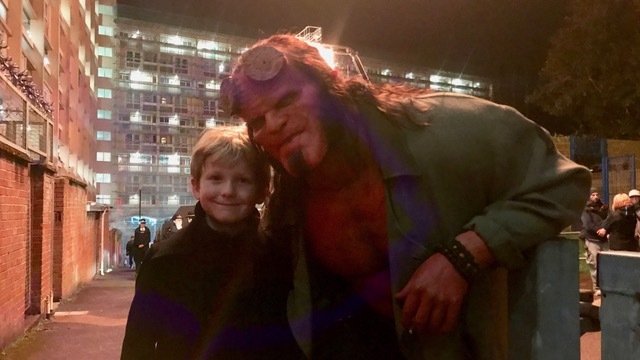 The highly anticipated third Hellboy movie is set to premiere in UK cinemas this Friday 11th April, after part-filming in Bristol in 2017. Lionsgate’s ‘R-rated reboot’ of the international film franchise is directed by Neil Marshall (The Descent, Game of Thrones) and stars David Harbour (Stranger Things), Milla Jovovich (Resident Evil series), Ian McShane (John Wick), Daniel Dae Kim (Hawaii Five-0) and Sasha Lane (American Honey). Principal photography mainly took place in Bulgaria, but it was Bristol and the surrounding area that provided the backdrop for the UK leg of the shoot. The Bottle Yard Studios provided the UK production base, supplying offices, construction areas and prop stores. Night shoots for major scenes starring lead character Hellboy (David Harbour) took place in September 2017 at Waring House in Bristol’s Redcliffe area, which can be seen in the opening moments of the movie’s trailer. The demanding shoot featuring SWAT teams, firearms and armoured vehicles, was arranged with help from Bristol Film Office who assisted with location scouting, recces, arranging unit bases and parking. They also helped producers liaise with residents, advising on donations for the local community and ensuring translation needs were met so that communications were fully accessible. 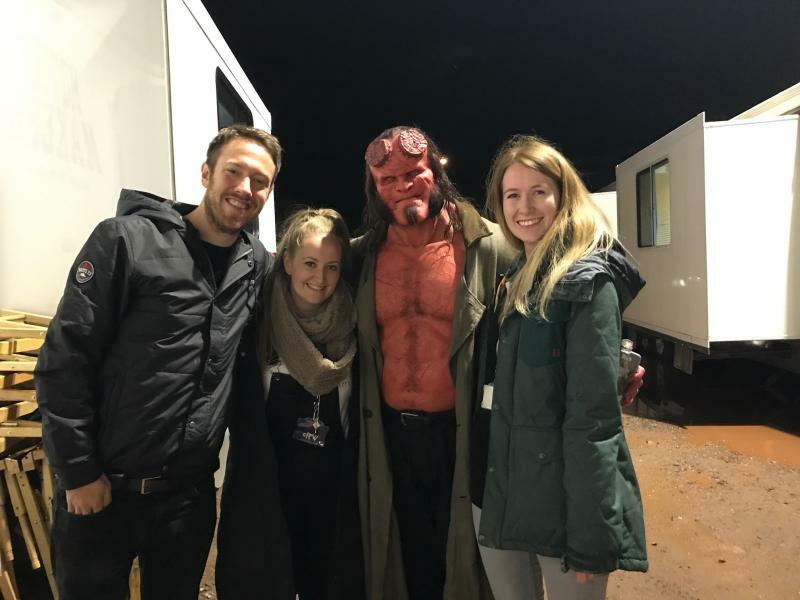 The Bottle Yard’s on-site companies Set Smith, Studio Cars, MRU Services, TR Scaffolding and Video Europe were all involved with the Hellboy shoot, providing construction, transport, health, and equipment hire. Hellboy is back, and he’s on fire. From the pages of Mike Mignola’s seminal work, this action-packed story sees the legendary half-demon superhero (David Harbour, ‘Stranger Things’) called to the English countryside to battle a trio of rampaging giants. There he discovers The Blood Queen (Milla Jovovich), a resurrected ancient sorceress thirsting to avenge a past betrayal. Suddenly caught in a clash between the supernatural and the human, Hellboy is now hell-bent on stopping Nimue without triggering the end of the world.